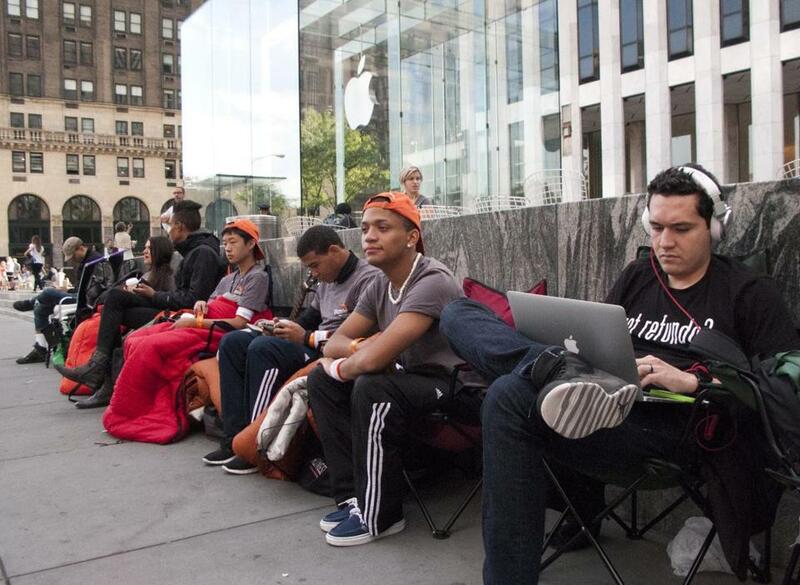 Customers lined up outside the Apple store on Fifth Avenue in New York City Monday to await the arrival of the iPhone 5. As the head of a Charlestown tech company, Jeff Chow wants the new iPhone 5 for work, and his wife wants to upgrade her older iPhone. So when the couple’s 1-year-old woke Chow up in the middle of the night Friday — just as Apple Inc. opened sales of the new iPhone — he took advantage of the situation and pre-ordered two of the devices. “Finally, there’s a glass half-full in there,” joked Chow, chief executive of Springpad, about his daughter’s sleep schedule. In fact, her wakening may have saved Chow and his wife weeks of waiting as Apple and iPhone retailers said they are so inundated by requests for the new phone that some customers will not get their devices until sometime in October. On Monday, Apple said that preorders for the iPhone 5 have been “phenomenal,” topping 2 million in the first 24-hours — more than double the advanced sales for its previous model. “We set a sales record over the weekend for the most successful iPhone­ launch ever,” added AT&T spokeswoman Meaghan Wims. 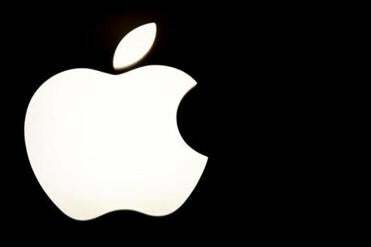 The company’s stock price set the day after it announced that orders for its iPhone 5 topped 2 million in the first 24 hours. Unveiled Wednesday, the iPhone­ 5 is a taller but slimmer device that has a larger screen, faster processor, a connection to the faster 4G LTE cellular network, better battery life, and a more sophisticated camera. The new phone will retail for $199 and up. Ramon Llamas, a senior research analyst at International Data Corp. in Framingham, said the iPhone 5 is going to be a success for Apple. “I think there’s plenty in the iPhone 5 for people to say, ‘Hey this is a really good device,’ ” Llamas said. Dania Lieberthal, who works for a Localytics, a Cambridge technology firm, said those new features convinced her to upgrade to a 32-gigabyte iPhone 5 prices at $299. Lieberthal said she will donate her old iPhone 4 or sell it to a Web-based company that specializes in reselling technology products from Apple and others. One of those companies is Florida-based sellcell.com, a website where phone owners can compare offers for their old devices. Managing director Colin White said the number of people selling their old phones, mainly to get an iPhone 5, is up about 800 percent over the same time last year. Jesse Waites, the founder of PNTHR.com, a Web-design and app development firm in Boston, used another popular Web service, Gazelle.com, also of Boston,­ to get about $100 for his iPhone 4 and will put the money toward a 32-gigabyte ­iPhone 5. “It is part of my job to stay up-to-date on the newest technology advances,” Waites said in an e-mail. At Gazelle.com, which buys iPhones and other Apple products, chief gadget officer Anthony Scarsella said the company saw a 1,200 percent increase in demand for trades-ins after the iPhone 5’s unveiling, compared to the debut of the iPhone 4S. “It has definitely been crazy over here,” Scarsella said.